CHARLES Waterton, eccentric yet far-seeing conservationist. WATERTON'S mansion on an island in an 11ha lake is now a luxury hotel. SHOW us a television viewer who reckons they're not intrigued by the exploits of English naturalist Sir David Attenborough, and we'll show you someone who, shall we say, tells fibs. Attenborough turned bird and animal life in the wild into compulsory viewing, with programs that were at the one time riveting, educational, droll and witty. So it is hardly surprising that he lists among his heroes an Englishman who explored the jungles of South America in the early- to mid-1800s, yet who looked at wildlife with the jaundiced, satirical eye of a modern-day newspaper cartoonist. That man was Charles Waterton – or Squire Waterton as he was known to neighbours around his family home, Walton Hall near Wakefield in Yorkshire. "He was a very important and extraordinary figure," Attenborough once recalled. "And even if quite eccentric, was at the same time a far-seeing conservationist. "He was also double-jointed, so if you went to visit him you might well have been welcomed by him standing on one leg while using the foot of his other to scratch the back of his head." 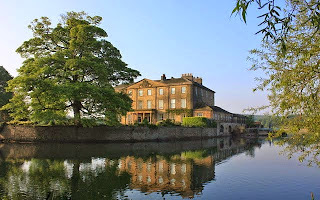 Stories about Waterton's eccentricity abound… right back to his schooldays at a Jesuit establishment called Stonyhurst College in the Ribble Valley of Lancashire, where he was given the task of resident rat-catcher and fox-hunter due to his deadly accuracy with a cross-bow. In fact he culled so many foxes, that most of his fellow pupils enjoyed free fur hats to keep their heads warm during the Ribble Valley's cold, wet winter months. And showing his love of adventure, on a school trip to the Vatican, Waterton climbed a tall tower near St Peters and left his cap there to prove he had achieved the feat. According to folklore, when the Pope expressed his displeasure, Waterton scaled the dizzyingly high tower once more to retrieve it. of Britain's dreary Secretary to the Treasury. And as an adult, if dinner parties at Walton Hall began to dull, he would slip under the table, start barking like a dog and bite guests' ankles. In 1804, at the age of 22, Charles Waterton travelled to British Guiana (now Guyana) to take charge of his uncle's estates near Georgetown, a task that fired up his interest in wildlife. For years he explored the rainforests, collecting birds and small animals and shipping them home to the world's first wildlife sanctuary that he'd established at Walton Hall. 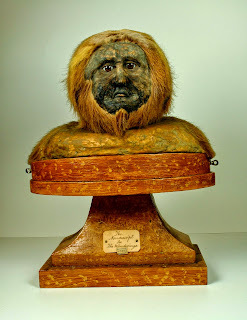 He also taught himself a unique style of taxidermy, shaping the skins of specimens around an empty shell rather than stuffing them. 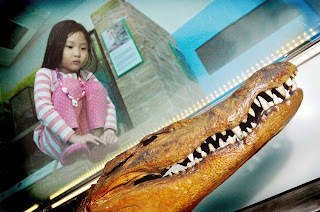 They included a large-ish crocodile he'd captured in Guyana by grabbing its front legs and riding it into exhausted submission. 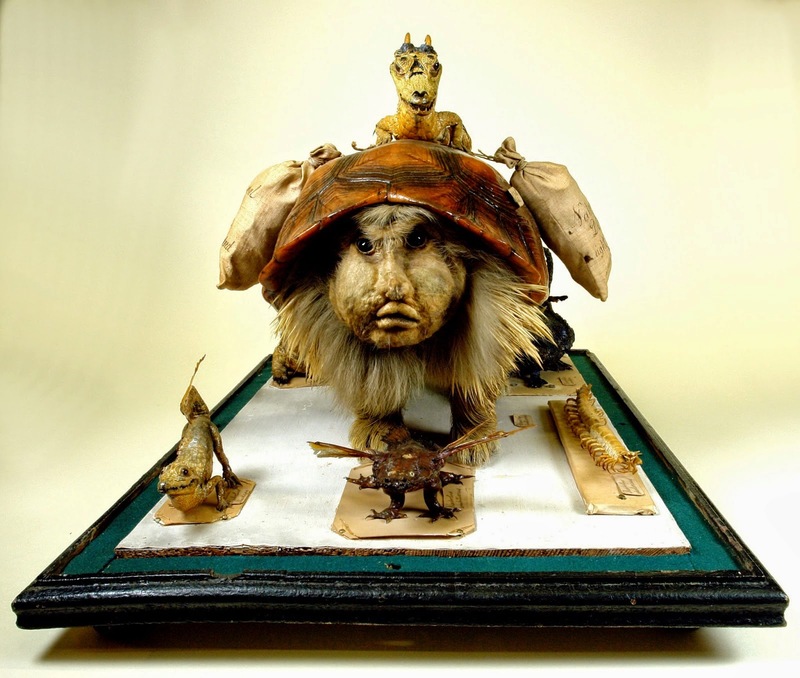 He also created bizarre 'hoax' animals that he fashioned using pieces from different beasts. These included a piece he satirically titled 'John Bull and the National Debt.' It was formed from a porcupine in a tortoise shell being attacked by six devil-like creatures – while his most-famous piece, 'Nondescript' was made from the backside of a monkey fashioned to resemble the face of Britain's dreary Secretary to the Treasury, Stephen Lushington who constantly slapped exorbitant import duties on Waterton's specimens. Waterton's brother Edward migrated to Australia and bought land near Port Macquarie in NSW but never actually lived there, and after also spending a couple of years in New Zealand returned to Sydney and finally sailed back to England – taking with him as presents for his brother's wildlife sanctuary two live emus, a kangaroo and a squirrel. 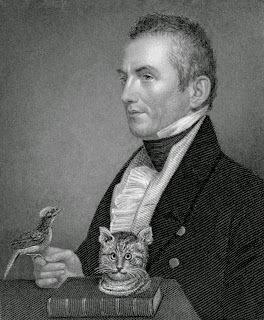 Edward Waterton died during the voyage, and Charles was so distraught he gave the Australian animals away, saying "Without my brother, those animals would have increased my sorrow." Charles Waterton was still climbing and pruning tall trees on his estate at 80 years of age, and after such an active life died in a simple accident in 1865 just short of his 83rd birthday: he tripped over a tree root and suffered internal injuries. Many of his odd-ball creatures can be seen in a museum opened in Wakefield last year, including the crocodile he had ridden in Guyana and the famous 'Nondescript.' Others are at his old school Stonyhurst.